Prom season is approaching! …And so is the stress of preparing for it. The dress, the tux, hair, makeup, boutonnieres, corsages and, who could forget, the limo! Prom is a time to celebrate all the suffering that is high school so, it needs to be done in style. We’ve created the ultimate guide to the perfect prom right here in Brampton. Grab a notepad, sit back and get writing! The search for that perfect dress can be overwhelming. If you’re lucky, these next few stores may just hold the dress of your dreams! With a wide variety of dresses and amazing service, this shop is definitely one of the biggest stores in downtown Brampton. Prices are particularly high, but if you’re willing to go the distance for the perfect dress, this is a great optioon. Not all colours and sizes aren’t readily available, so leave yourself some time to order. With two locations in the city, Bramalea City Centre and Shoppers World, this store is very well-known. Although their customer service is up for debate, they have a ton of dresses to choose from, especially in their Shoppers World location. Located in BCC, Laura is known for good customer service, with a welcoming staff that let you look around freely. Not a huge selection of dresses here, but still worth a look. A cozy little store at Shoppers World with fairly good service but a lacking variety. They do however, carry larger sizes, so if you’re having trouble getting a nice dress in your size, this is a good stop. The internet: There are so many websites online that sell prom dresses, often for a much cheaper price than in store. Take a look at Prom Girl or Unique Prom for a great selection. But remember, things do not always look as they appear online so make sure to look up multiple reviews to ensure the quality of the product. Hit the fitting room Go to stores early and try some dresses on, not with the intent to get a dress but to find the style of dress you’d like to get. That’s always the hardest part. Know your body type There is a dress for everyone! You’ve just got to find what fits your body type and makes you feel comfortable. Look here to help you find your body type. Buy in bulk If you do end up deciding to buy a dress online, put the order in with a friend so you can split the shipping costs. Although, it seems like guys have it easy for prom, there’s a lot to learn about that suit and tie if you’re planning on looking prime. Located downtown, this store really has everything you need to be ready for prom, from head-to-toe. Privately-owned and in the business since 1976, they’ve also got the experience. A popular place for formal attire, Moore’s has an extensive range of clothing. Rent or buy, you can check out their complete interactive catalogue online. Located in Shoppers World, International tailors is another affordable option for men’s formalwear. You even have the option of ordering a custom suit, tailored to fit you perfectly. 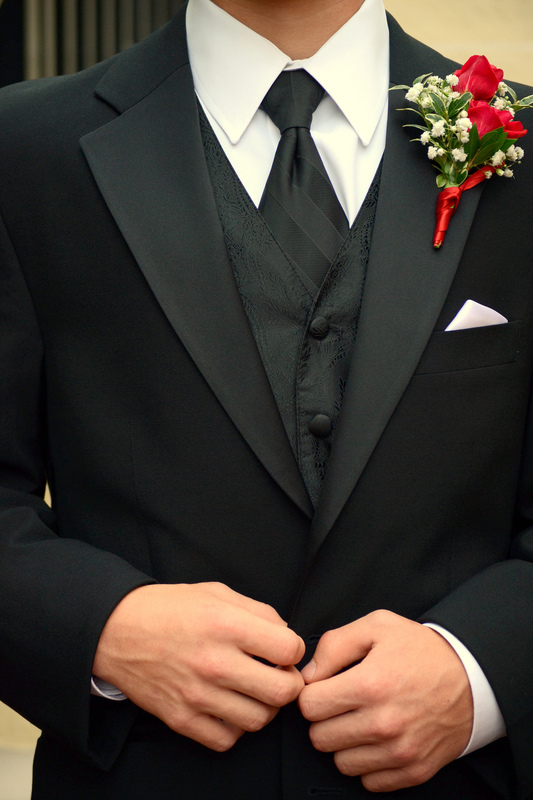 Book early If you’re renting a tux, make sure to book early. Stores will begin to sell out of styles as it gets closer to prom. Know your body type Believe it or not, guys come in different shapes. Knowing your body type will help you choose the best look for you. Look here to find out what shape you are. Bring a swatch If you’ve got to match your date’s dress colour, try to bring a swatch of the fabric with you. It’ll work better than a picture and much better than a name, so your not stuck figuring out the difference between tiffany blue and cerulean. Who could forget the beautiful shoes that must work perfectly with your outfit, even if no one will ever really see them. Here are some stores to to search for the flawless shoes. Do I even need to tell you about this? Payless is definitely one of the most well-known shoe stores in Brampton, with a good variety of shoes at fairly affordable prices. The familiar name gives you a sense of reassurance for your money, not to mention their unlimited exchange or return policy. Another Shoppers World staple, this store is a shoe-paradise when it comes to looking fancy. They carry a huge selection of shoes for men and women. They have classy dress shoes to match your tux and, heels in all different sizes with the perfect amount of glitz and, a matching clutch to finish off your prom look. With a fairly good selection of shoes for men and women for a number of occasions, stop in to this Shoppers World store and take a look. Indo-Canada Salon and Spa: With three locations in Brampton, this place offer a variety of services including hair styling, cutting, manicure, pedicures and various other spa services, all conveniently listed online. Maharajah Beauty Salon and Spa: This cozy salon and spa on Kennedy Road is known for its customer service and conveniently low prices. No website so you’ll have to drop by to check them out. CB squared hair studio: Located in downtown, this location mainly focuses on hair and styling. It’s known for its experienced staff, an absolute necessity when trusting your look in the hands of a stranger. Home sweet home: No one knows what you want better than yourself. So if all else fails, YouTube some videos and do your own hair, makeup and eyebrows. Although if you want to get a haircut, I suggest you get someone else to do that. You don’t need to be in the hospital on prom night. Avoid a disaster Always get your haircuts or eyebrows done a few days before prom night so if you run into any problems, you have a few days to figure out a probable solution. New ‘do? 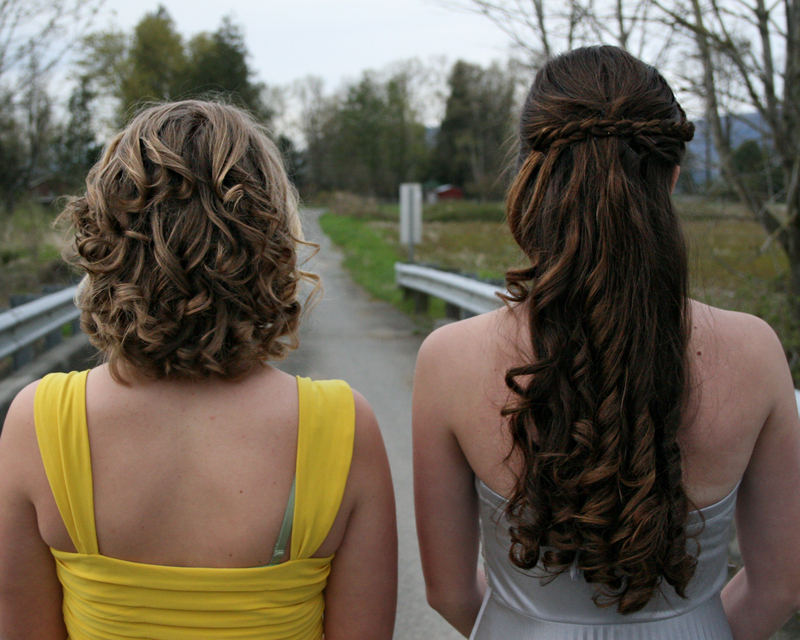 If you’re trying a new hair style or updo, bring in a picture to show the hairdresser exactly what you want. Test run Ask the hairdresser to do the hairdo on you a week before prom so you know that they can do it well and it feels comfortable. The boutonniere and corsage are the finishing touch that can go oh-so-wrong. For the couples out there in need of this flower duo, here are some shops you can visit in the flower city. With an extensive website and a great catalogue of arrangements to choose from, this place is a one-stop shop for boutonnieres, corsages and even hairpieces. Create your own custom arrangement if you’ve got your own look in mind. Another great resource with tons of options to choose from, with this shop you can order online and have it delivered to your door or pick it up in store. For those of us with a crafty side, there’s tons of tutorials online to make your own corsage and boutonniere. Swap out fresh flowers for silk ones to make the process even easier, and cheaper. Many schools hire professional photographers to take pictures during the prom night but, let’s face it, an impromptu photo shoot with your friends is bound to happen. Here are some tips to get it right. Chinguacousy Park: As overused as Chinguacousy Park can be sometimes, you can’t deny it does make a beautiful backdrop for some pictures. With its colourful gardens and hidden ponds, it is actually the perfect spot for a prom photoshoot. Mount Pleasant Square: A recent addition to the city, Mount Pleasant Square’s European style buildings create an out-of-the-GTA vibe for pictures. With numerous wedding and engagement photoshoots already taking place here, adding prom is a no-brainer. Lakelands: This residential area has numerous parks that serve as a beautiful scenic backdrop. With tall trees and elegant fountains, it can be a great backdrop for a timeless event like prom. 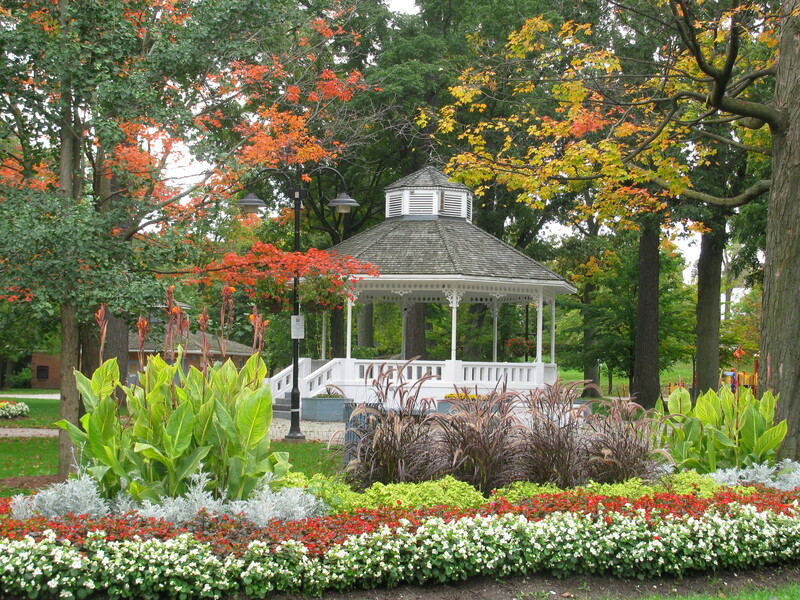 Gage park: Another go-to spot, Gage Park is always picture-ready. Flowers, greens, archways and that famous gazebo in the heart of the city, you know why this places works. Don’t leave it ’till the banquet hall Take pictures in a different location. Banquet halls never make for a good backdrop and the lighting inside is usually terrible. Good Communication Make sure you and your friends decide where to meet to take pictures long before prom so everyone is on the same page. Time it right Get to your location way before the sun starts to set! Natural light is always best! Arriving in style is part of the prom experience. 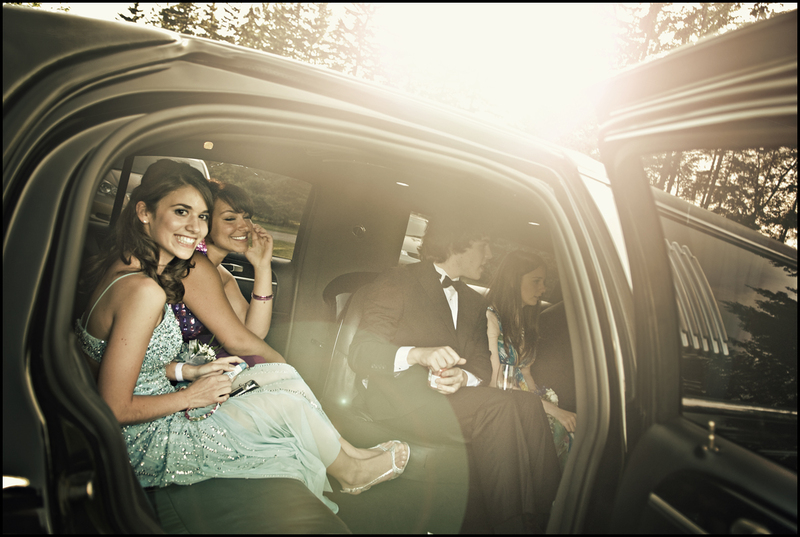 You can opt for the timeless tradition of a limo to take you and your friends to prom or if you have a driver’s license, rent a car and pull up in style. Pick from a huge range of vehicles from Hummer to traditional Stretch Limos, SUVs, Mercedes and much more. Plus, they’ve got a prom rate to help with that student budget. This company not only offers a prom pricing, but offers tips on what’s best to book for your specific needs, so you don’t have to go running to your parents for help. For those of you that have dreamed of getting behind the wheel of a car that is waaay out of your budget, car rentals is for you. Every company differs on their license and age requirements so, have an older cousin on standby if you don’t qualify. ….And there you have it! Here are some final tips to make your prom an overall success. 100% Charge your phone and camera the night before prom, so you don’t get stuck standing by an outlet at the hall (if you can even find one!). Don’t rush Be ready a half hour before you plan to leave. Getting out of the house can sometimes be time consuming. Snap! Click! Flash! Take a lot of pictures! You never know if you’re gonna look this good again. 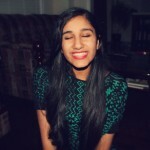 I enjoy photography, baking and of course eating!